Reading the Daily Mail is for me a little like eating foie gras. There is some guilt about the suffering that has gone into its production, but you cannot deny that it somehow adds to the richness of the flavour. Daily Mail journalists don’t have it as bad as force-fed French ducks. But there is no denying that editor Paul Dacre (who is stepping down later this year) has been an exacting taskmaster these last 26 years, famously ready to shout and use profanity when work does not come up to snuff. The result has been a newspaper which has been a daily masterclass in mid-market journalism. It has a strong campaigning voice and gets results – on issues as diverse as the murder of Stephen Lawrence and banning plastic bags. The news coverage is excellent, especially when it comes to big breaking stories. And the leader columns ring with Dacre’s distinctive rather old-fashioned sounding brand of invective. Like it or not, the Daily Mail is a newspaper which, like no other, echoes its master’s voice. 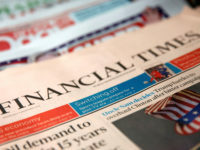 It is a title which can still afford to “send out” on the big stories – sometimes, reportedly, putting reporters in competition against each other. The result is that for major events, say a terrorist incident or sensational murder, you know the Mail will have comprehensive news coverage earned through the shoe leather of its hard-working journalists and the high standards of its editor. In commercial terms, the Mail has been a huge success under Dacre – returning hundreds of millions in profits to proprietor Lord Rothermere and making Dacre himself almost certainly the best-paid editor in Fleet Street history, earning £2.5m last year. Circulation-wise the Mail has held up relatively well. At 1.3m a day it currently sells half what it did at its peak under Dacre of 2.6m a day in 2001. But it is worth remembering that the stable of titles, over which Dacre is editor-in-chief, has since then expanded to include free daily Metro which distributes 1.5m and Mail Online, which reaches more than 13m unique website browsers per day. The title did, however, face questions over its use of private investigators. 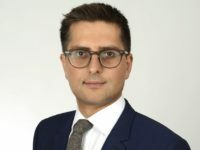 In 2005 the Information Commissioner raided the offices of private eye Steve Whittamore and found notes which revealed his booming trade with almost every UK national newspaper. 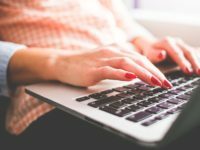 A subsequent report found the majority of information requests – both legal and illegal – were from journalists, with the Daily Mail topping the list with 952 entries from 85 journalists. While some of these would have been fairly innocent, such as finding ex-directory telephone numbers, others will have been more dubious and many will have involved illegality. 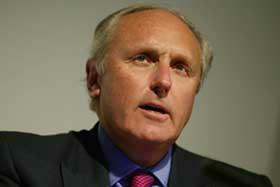 Dacre banned the use of external inquiry agents in 2006, the first national newspaper to do so. 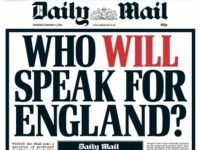 The Daily Mail has always been a divisive title, but the level of hatred for it on the left has risen exponentially since the referendum on the UK leaving the European Union on 23 June. 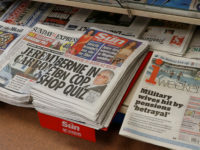 The Mail – along with the Daily Telegraph, Sun and Express – was stridently pro-Brexit both in terms of its editorials and the choice and tone of its news coverage. Given the slenderness of the Leave victory, 48 versus 52 per cent, many blame Dacre for leading a Fleet Street campaign which may have had a decisive influence on this historic vote. Time will tell whether the Brexit vote will result in triumph or disaster for the UK. But whatever Dacre’s other journalistic achievements, I venture that it will be his robust stand on this issue which history will judge him over. The RECORD, the contents over the “26 years” show that you are wrong to say the below. Dacre’s Daily Mail has capitalised on the racist, imperialist world view that had already been one of the title’s key “asssets”. The Daily Mail was not opposing racism at any stage by its coveraghe of the murder of Stephen Lawrence. It was a coincidental personal set of facts to do with Dacre knowing Stephen’s father that was the most important trigger. reported any other racist murder, crime or denial in any remotely comparable way. In every sphere and walk of life, racism festers, obstructs and denies. And the Daily Mail is to blame for making each perpetration look “British”, “English” and the “right thing”. The spate of physical racist violence in the days after the Brexit result was inevitable. Things have been getting worse from that day on. They will get even worse. Paul Dacre has taken the Daily Mail and Britain to a new depth of the Dark Age. I appreciate your article. It contains a lot of useful information. Great article.